Hi hi, this is Jenn from Color ‘n Cream and this is my first contribution to the Craft Café. 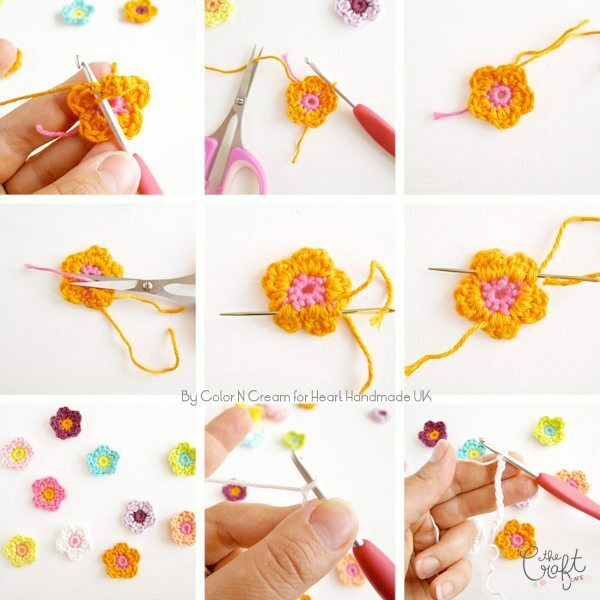 I’m very excited to share my crochet Flower Garland Tutorial with you. 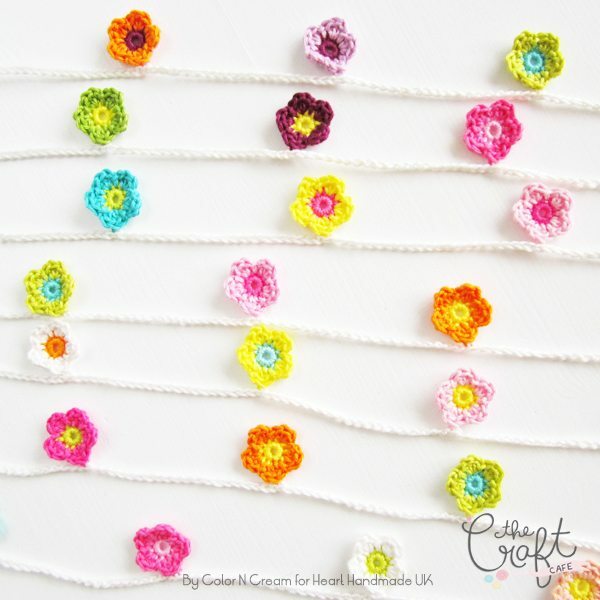 You will learn how to crochet a flower and turn it into this gorgeous, colourful mini garland that will uplift one’s spirit! I like to use my scraps for these flowers. Because they are so small, you only need a little, and I have lots of scraps lying around. How about you? 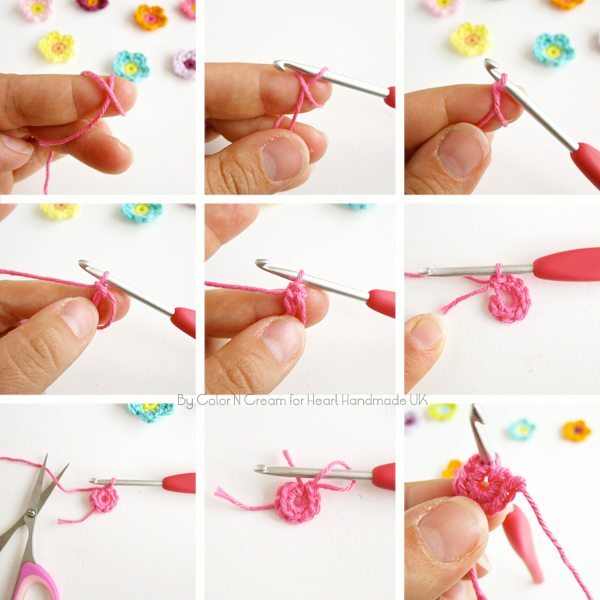 Related: 20 Insanely Clever Yarn Hacks That Will Make Your Next Project Easier! So let’s get going. I hope you don’t mind, but I always make my tutorials in US terms. This will be your first stitch. 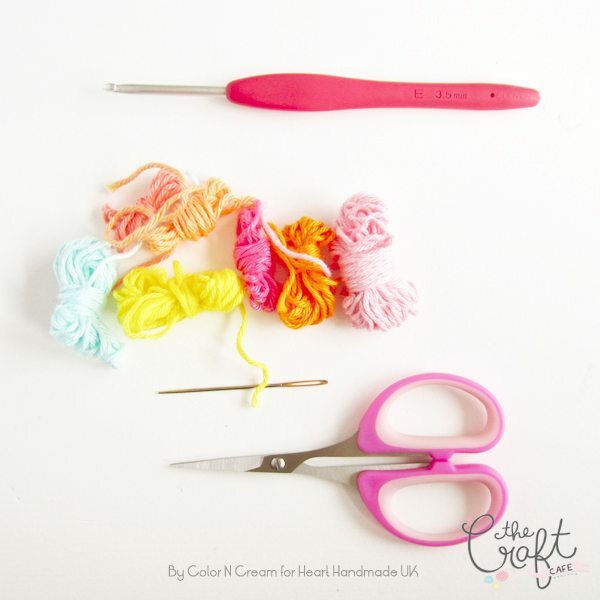 Make another nine single crochets (UK+double crochet) in the circle. Join as shown in the picture or use a slip stitch. If you use a ss, you have to use it as a stitch in the next round. Change colour; it’s nice to use a contrasting colour. Sc (UK= dc) into the next stitch*. skip the last sc and join with a ss as shown in the pictures. You’ve finished your first flower!! Isn’t it pretty? Now finish off the loose ends. It’s nice that there are so few right?! 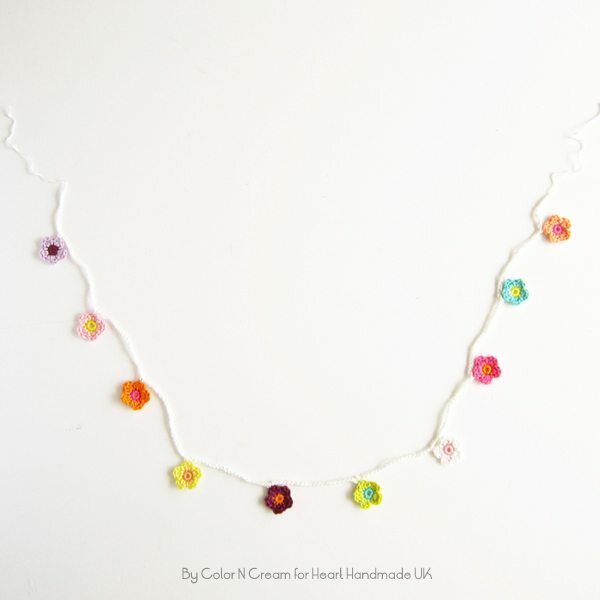 Make as many flowers as you like to make a garland. For this mini garland, I use 10. Then we make the garland. *ch 20, join in the next flower*. then Ch 11, cut your yarn and pull it through. I think this is a perfect project to keep summer alive! 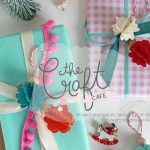 Take your scraps with you to the beach, the park or your favourite (Craft) café and have some fun. I guarantee it will make you happy in an instant! 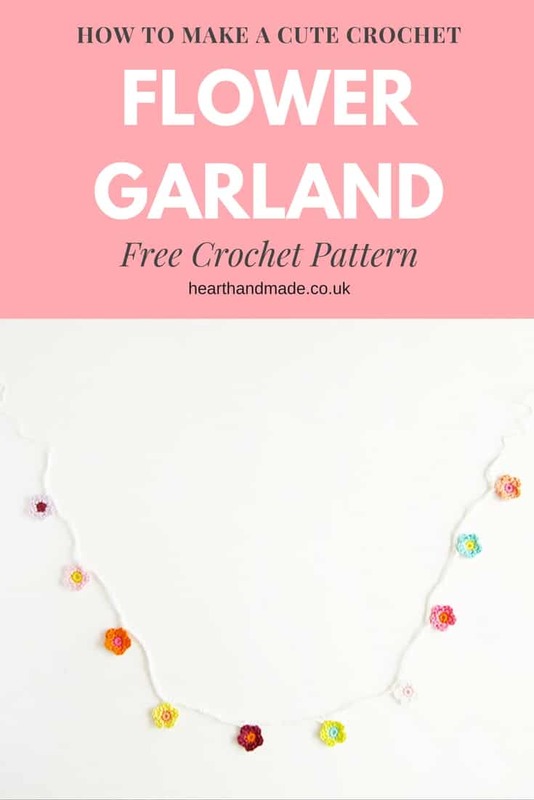 The garland is a perfect gift or can be used in all kinds of ways for your home. They can brighten up your coffee table, wall, or anything really. 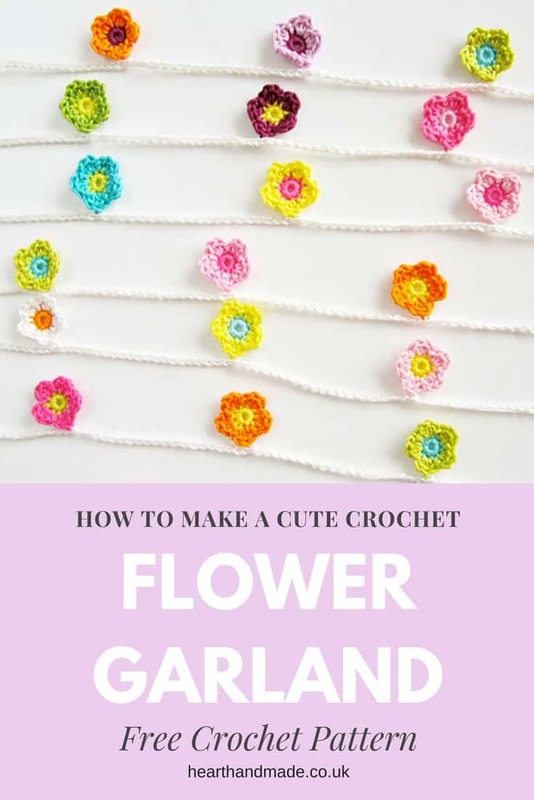 Now you’ve learned how to crochet a flower and turn it into a rather glorious garland! 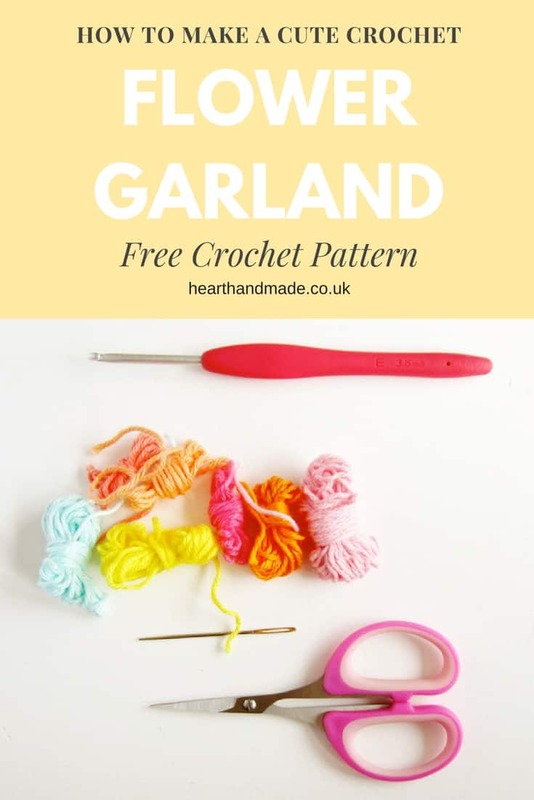 If you feel like you want to crochet, even more, check out the Free Patterns available here on Heart Handmade UK. 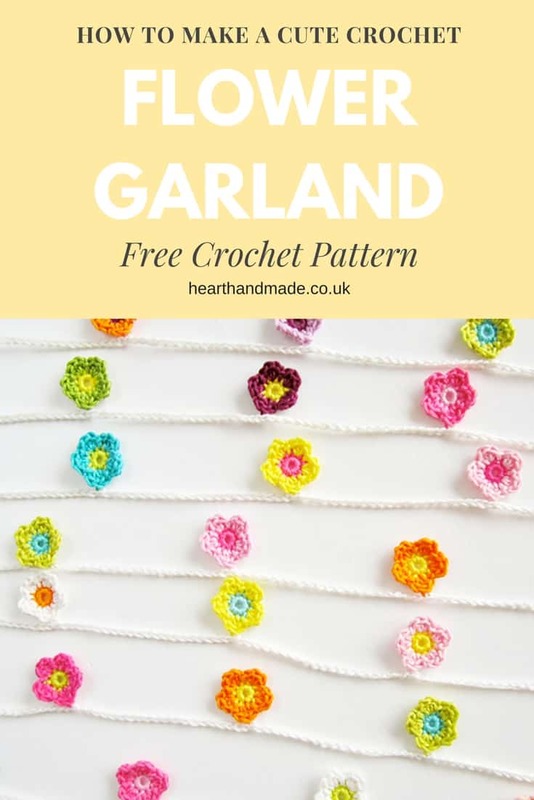 For those of you who don’t crochet and are interested in the Flower Garlands, they are also for sale in the Color ‘n Cream Shop. you can also view all of Claire’s DIY projects here. Super pretty, esp. for a little girls room. Wish I knew how to crochet. Visiting from Link Party Palooza. It is so simple! Seriously. I taught myself off random tutorials and youtube. Absolutely love it! These are gorgeous! Such pretty colours! They are so pretty. What I am amazed at is how evenly you have crocheted them. 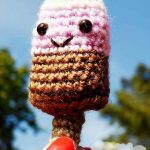 It has been a long time since I’ve crocheted anything but I can imagine my first attempt being out of shape – not perfect like yours! I don’t quite understand how you ended the first round without the slip stitch. I do see your pictures but I still don’t quite get it. Could you explain what you did there? 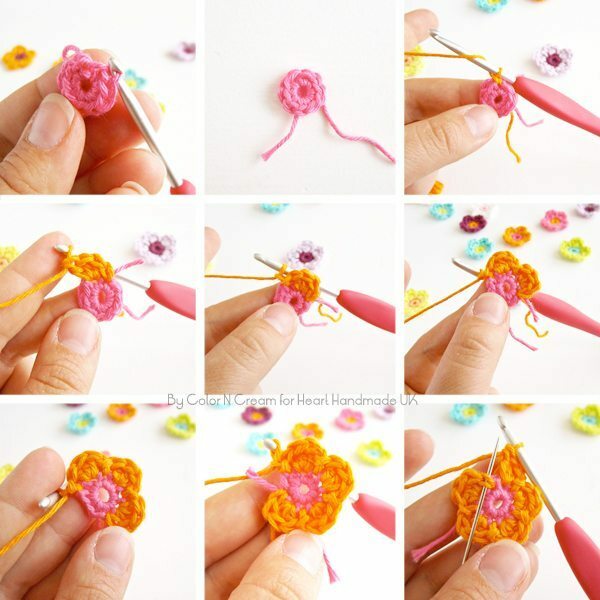 Your flowers look so much better than mine do using a slip stitch. That;s an awesome made up word! 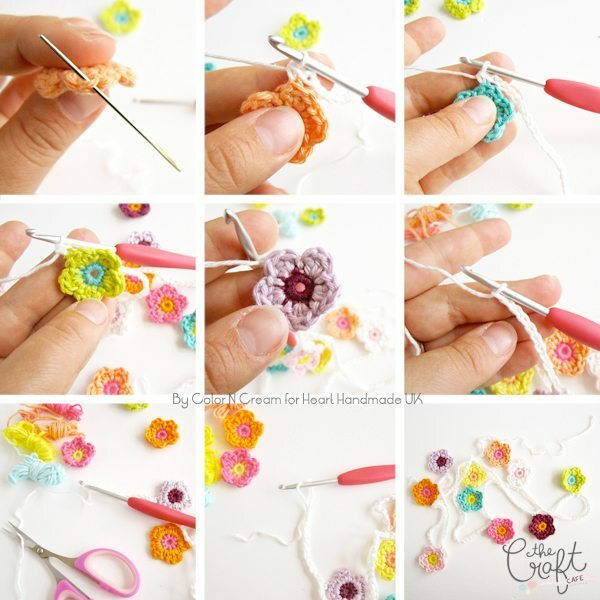 You just keep going in a continuous round and you just start to crochet on top of your first round. This is beautiful! Thanks for sharing. Visiting from Artsy-Fartsy Link Party. 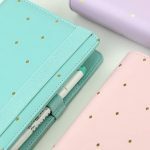 The Best Planners To Get Organized AF This Year!